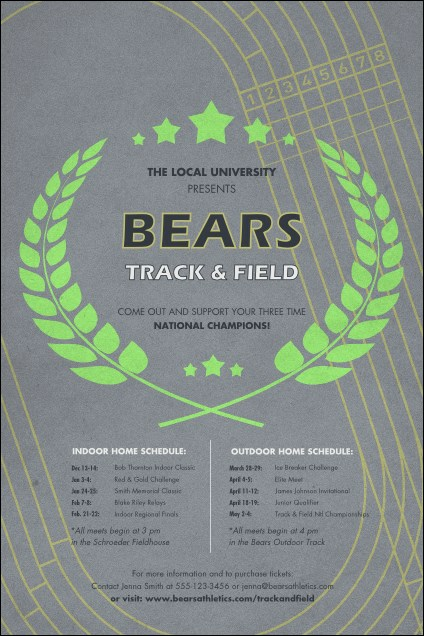 Sprint to event success with the classic Track and Field Poster. Featuring a light grey and lilac background with a track rounding the curves, this poster has a Greek laurel wreath in the middle. With 35 available lines of text, event promotion will be easy for your next athletic meet. Do you need invitations, tickets, or fliers? We've got you covered at TicketPrinting.com.